A Standard VIII student penned a rather thought provoking letter to Prime Minister Narendra Modi prompting the district administration to withdraw their order of requisitioning vehicles for the PM's rally in Alirajpur district tomorrow. Devansh Jain, a student of Vidyakunj School, wrote the letter after learning that his school will remain closed ahead of PM Modi's rally as the school buses would be used by the administration to ferry people for the PM's event. "Is your meeting more important than school?. Why should my school remain closed if you are holding a rally?" the boy said in the letter. Devansh also asserted that he was an ardent Modi fan and had never missed the PM's 'Mann Ki Baat' radio talk. He said he had also picked up fights with his classmates who were teasing him for following Modi. He requested the Prime Minister to tell "Shivraj Mama" - as Madhya Pradesh Chief Minister Shivraj Singh Chouhan likes to be referred to - not to divert school buses as "you are not like Congress leaders and you are concerned about our studies and future". The 13-year-old boy affirmed that if the Prime Minister withdraws the decision to keep schools closed, he would believe that the crowd in the PM's meeting arrived on their own and are not managed. 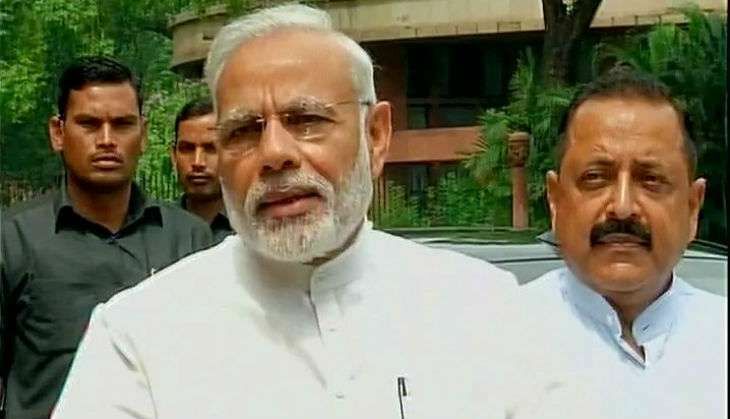 PM Modi is slated to visit the birth place of revolutionary leader Chandrashekhar Azad at Bhabhra village, and will address a public meeting at near-by Jothrada village, where he will launch the "70 saal Azaadi, Yaad karo Qurbani" campaign.